Landscaped gardens are an English gift to the world. We care for and restore some of the most inspiring historic gardens, often enlivened by charming garden architecture. Our collection of historic gardens all over England are a delight and inspiration both for gardeners and for visitors who simply enjoy strolling among beautiful surroundings, ever changing with the seasons. Some of our most ambitious projects are bringing famous historic gardens back to life stage by stage, an ongoing process which means that there is always something new to see. The re-awakening of Wrest Park’s amazing 90-acre gardens, reflecting over 300 years of changes in garden design, has (so far) taken over 20 years, and still continues. 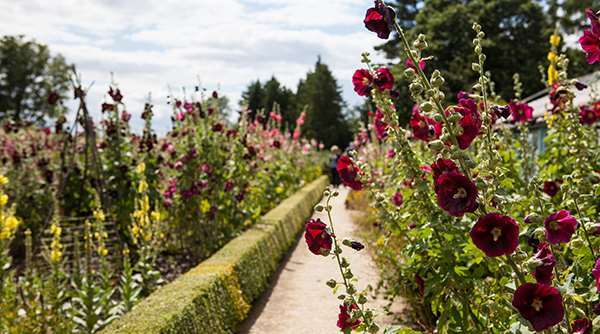 Extraordinarily varied, Wrest Park offers miles of waterside and woodland walks, as well as vibrant plantings, unexpected vistas and an intriguing array of delightful garden follies. 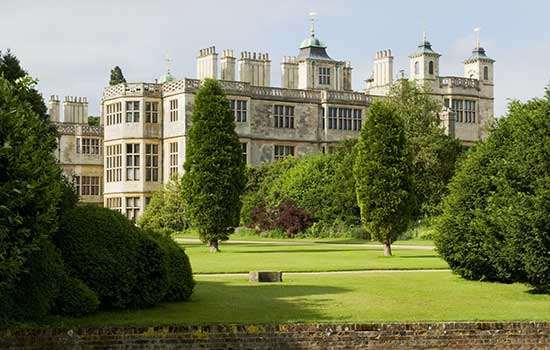 Audley End House and Gardens, too, offers sweeping panoramas, cascades and formal gardens, as well as that mecca for practical growers, its renowned Victorian organic kitchen garden. At Witley Court and Gardens, visitors can explore vast wilderness gardens on their way to formal parterres focussed on the stupendous Perseus and Andromeda Fountain, one of the greatest marvels of our collection. Others include the magical Quarry Garden at Belsay Hall, Castle and Gardens, and, at Kenilworth Castle and Elizabethan Garden, the most complete evocation of an Elizabethan garden anywhere in the world, meticulously recreated following years of research, garden archaeology and study of a miraculously-surviving eye-witness description of the original. Our London garden oases include 65 acres of landscaped grounds at Chiswick House and Gardens, birthplace of the English Landscape Movement, varied period gardens at Eltham Palace and Gardens and great swathes of parkland at Kenwood. Brodsworth Hall and Gardens in Yorkshire’s ‘collection of grand gardens in miniature’ are on a more intimate scale. So are our hidden walled orchard garden (complete with bees) at Battle Abbey, our recently re-created Stuart Fountain Garden at Bolsover Castle, monks’ gardens at many of our monastic sites and cottage style gardens at Stokesay Castle and elsewhere. Walmer Castle and Gardens, with its unique ‘Cloud Hedge’, includes among its blend of formal and wild areas a garden specially created for the late Queen Mother’s 95th birthday. Not just for adults, many of our historic gardens feature spaces specially designed for children, such as Witley Court and Gardens Wilderness Play Area. 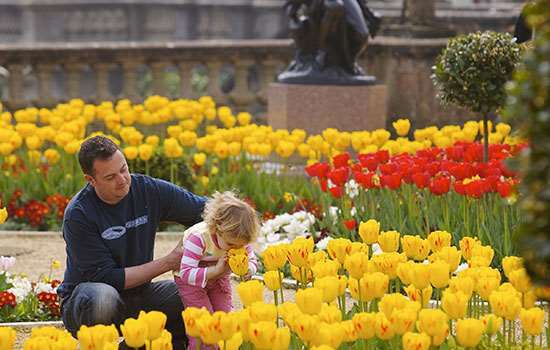 At Osborne, children as well as grown-ups can follow trails exploring the private garden domains around the royal children’s Swiss Cottage, or get involved in the great scientist’s experiments in his ‘outdoor laboratory’, the gardens at the Home of Charles Darwin, Down House. Many of our gardens also feature wildlife trails, and you never know what you might see there. We create new gardens too; inspired by the stories of the places we care for. The Princess Beatrice Garden at Carisbrooke Castle honours Queen Victoria’s daughter, who made her home here, while Community Heritage Gardens including those at Lincoln Medieval Bishops’ Palace, Portland Castle and Richmond Castle all reflect distinctive aspects of their settings. Our gardens offer endless variety. Each changes and develops not just every year, but every season, and every day.